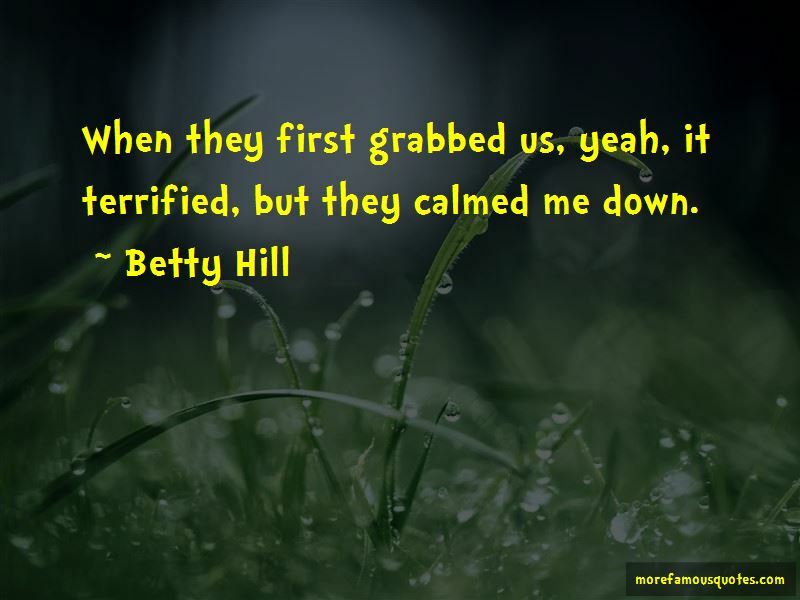 Enjoy the top 33 famous quotes, sayings and quotations by Betty Hill. From 1961 to 1965 Barney and I had not seen another UFO. They had absolutely no sexual interest in me. And we turned off and 30 miles south they're standing in the middle of our road blocking our way, stopped the car, got out, took us through the path in the woods, where the craft was on the ground. 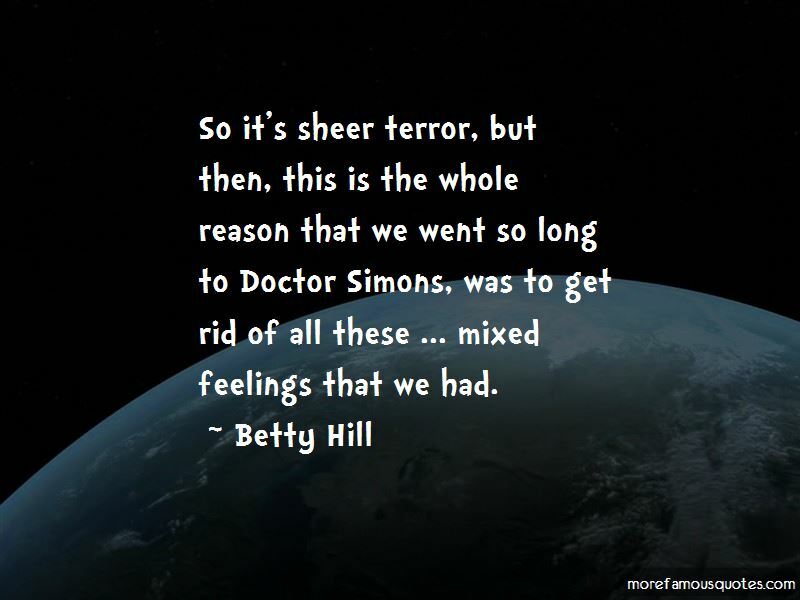 Want to see more pictures of Betty Hill quotes? 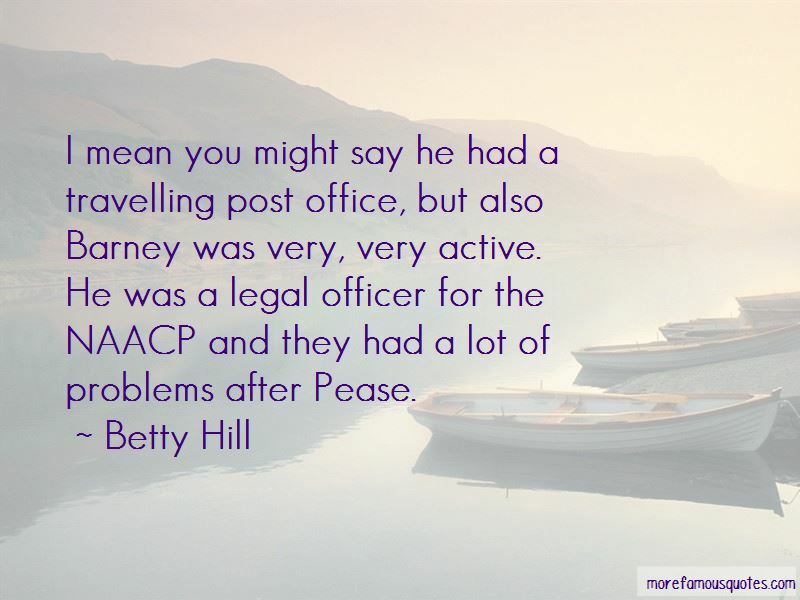 Click on image of Betty Hill quotes to view full size.